The Clark Law Firm helped us negotiate a water impoundment pond. We were very satisfied with the results and hope to use The Clark Law Firm for future agreements. 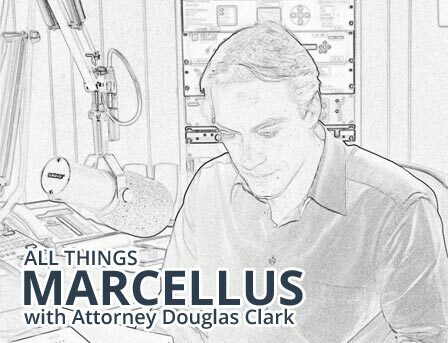 Doug Clark was my attorney through all the legal negotiations for my gas lease and for my pipeline agreement, and now he has assisted me with a Water Line Agreement. It was necessary for Mr. Clark to completely write up the water line agreement and I was able to obtain a satisfactory payment from the company when I signed the agreement. Although it may seem that legal assistance is not necessary for a temporary water line, I feel that Mr. Clark’s representation ensured that I obtained the optimum payment and agreement which I could have received. I recommend him for this legal service. Doug Clark has come through again for me. He negotiated my gas lease with success and now, having been approached by a pipeline company, I turned to Doug for help. My pipeline agent seemed relatively straightforward, not like the well people, but I still felt I needed help with the easement. Doug presented many addenda which tightened up the easement and improved the situation for me and my heirs. Since pipelines will be with us for many years to come, I did not want to saddle my children with little leverage and difficult circumstances in the future. Doug responded promptly, and clearly had our best interest in mind. He provided the proper wording for our document to give me more peace of mind as we approach the greatest land disturbance our property has seen in over 50 years of our family owning it.